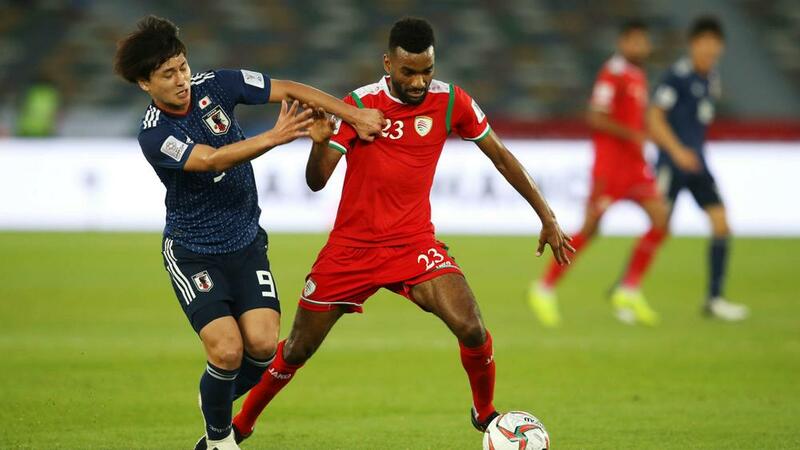 Oman captain Ahmed Al Mahaijri is relishing the opportunity to take on Iran, insisting his side are not yet content with their Asian Cup campaign. A 3-1 win over Turkmenistan on Thursday saw Oman book their place in the last 16 for the first time in the competition's history and they will now face one of the continent's top sides on Sunday. But Al Mahaijri, who scored a stunning free-kick as Oman secured third place in Group F, does not fear Iran and believes the clear underdogs will enjoy playing on the big stage. "Iran are a very strong team but so are we," he said. "We played Japan [1-0 defeat] and Uzbekistan [2-1 defeat] and showed that we can hold our own against teams who are ranked much higher than us. "We have already created history by making the knockout stage but we are not satisfied with just that. We want to create more history. "Playing Iran is something that we are really looking forward to. These are the kind of games we want to play. It will be a difficult match for us but we will make it difficult for Iran too." Iran are yet to concede a goal at the tournament but talk of coach Carlos Queiroz departing for Colombia in recent days may well cause a distraction ahead of this match. And midfielder Ashkan Dejagah has warned that Oman will prove tricky opponents. "I think it's going to be a tough game. Going forward, every team we face is going to be highly motivated," he said. "We've played Oman a couple of times before, they have a good team." Iran can always be trusted to keep it tight at the back - conceding just two goals in a World Cup group containing Spain and Portugal - and they have three clean sheets so far. But at the other end, Sardar Azmoun is also delivering. He has three goals in three games and has been one of the stars of the tournament. Skipper Al Mahaijri will lead by example and, as evidenced against Turkmenistan, he might be capable of producing the moment of quality required to upset heavy favourites Iran. - This will be the second Asian Cup encounter between Iran and Oman, with their first meeting coming in the 2004 group stages. Iran came from 2-0 down to draw 2-2 with a 94th-minute equaliser. - Iran have not won an Asian Cup knockout game since 2004, losing at the quarter-final stage in each of the last three tournaments (2007, 2011 and 2015). - Oman have progressed through to the knockout stages of the Asian Cup for the very first time, having been eliminated at the group stage in their previous three appearances at the competition (2004, 2007 and 2015). - Iran's Sardar Azmoun attempted 18 shots in the group stages of the 2019 Asian Cup; twice as many as any other player in Iran's squad and a tally that no player in the tournament bettered in the groups, scoring three goals overall. - Oman faced just 24 shots in 2019 Asian Cup group stage; only Qatar (22), Saudi Arabia (21) and opponents Iran (16) have faced fewer in the tournament so far.